Broad Street Rentals works in cooperation with Linden's Birchview Event Center to create an outdoor and rustic barn setting that exceeds your expectations. 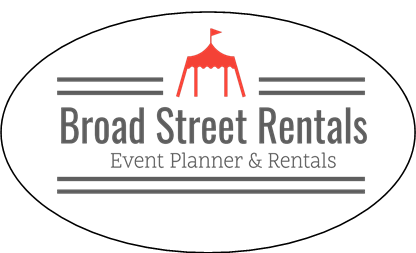 Call Broad Street Rentals for more information about Birchview Wedding & Event Center. As the former owner Of Vintage Soul Interiors, Jamie Mlinarich, has a keen eye for design. Couple her abilities with those of husband Matt (a licensed builder, contractor, landscaper) and you have a match made in heaven.